Justine Pierre is a Director, at Dunn, Pierre, Barnett and Associates Limited and also serves as a Business & Entrepreneurial Development Manager. In addition, he has been working in the fields of Finance and workforce development for well over 20 years. He holds an MSc in Workforce Education and Development from UTECH Jamaica, an MBA in Marketing and Finance, a degree in Business Management and a Diploma in Labour Market and Co-operative Studies. He is an experienced Labour Market consultant and has had a wealth of experience in the fields of Development Economics, Research. Developing marketing programmes for commercial enterprises; Policy development in entrepreneurship; and development of business entities in training institutions. In addition, he has successfully trained individuals in Small and Medium Enterprises, Marketing, Finance, Insurance, Mutual Funds and Real Estate industries. He has local and international experience having worked for companies such as CIBC, CL Financial, TD, Kinko’s and Cable and Wireless. In addition to research and conducting Labour Market surveys, he has worked on many Nano, macro and small enterprises internationally including Uganda, Suriname, Malawi and Guyana. 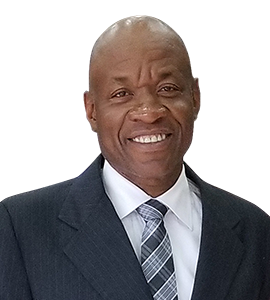 He has been on several overseas missions as a team member to review, evaluate and appraise programmes aimed at promoting SMEs in countries in the Caribbean, Asia and Africa an advocate of Vocational Education, he has a passion for at-risk youth.